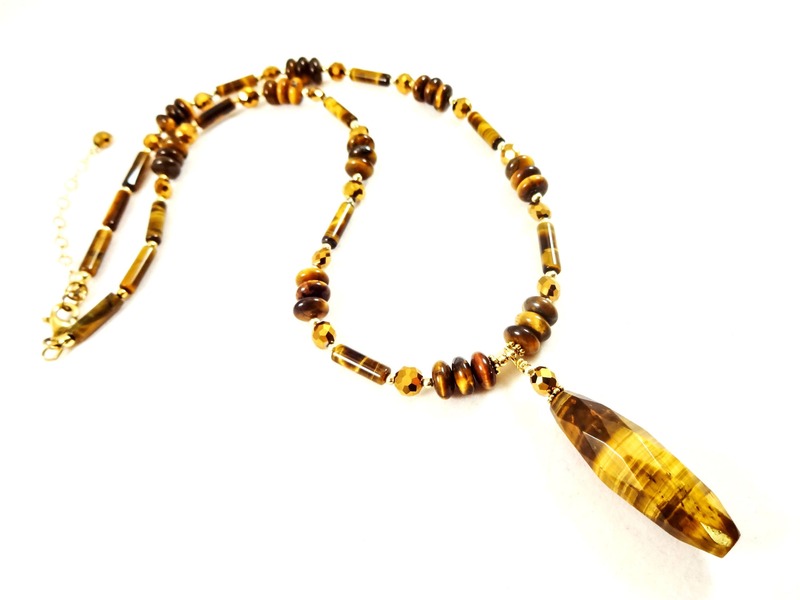 Tiger Eye is one of the more recognizable semi-precious stones around due to the chatoyancy and luster of the stone. 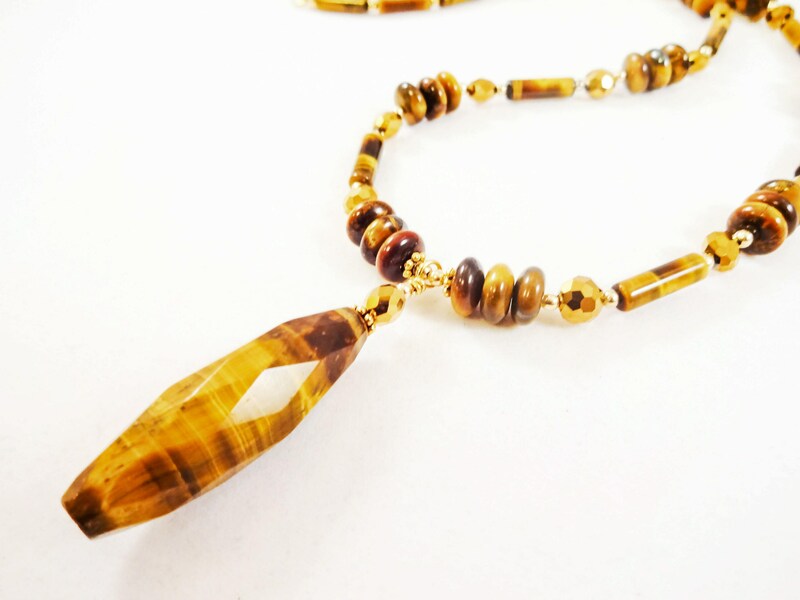 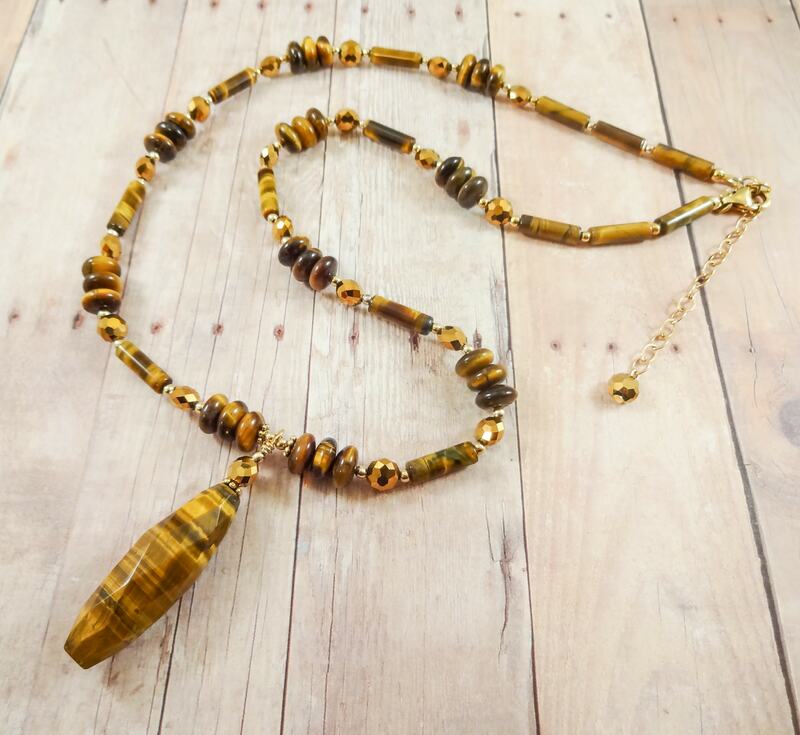 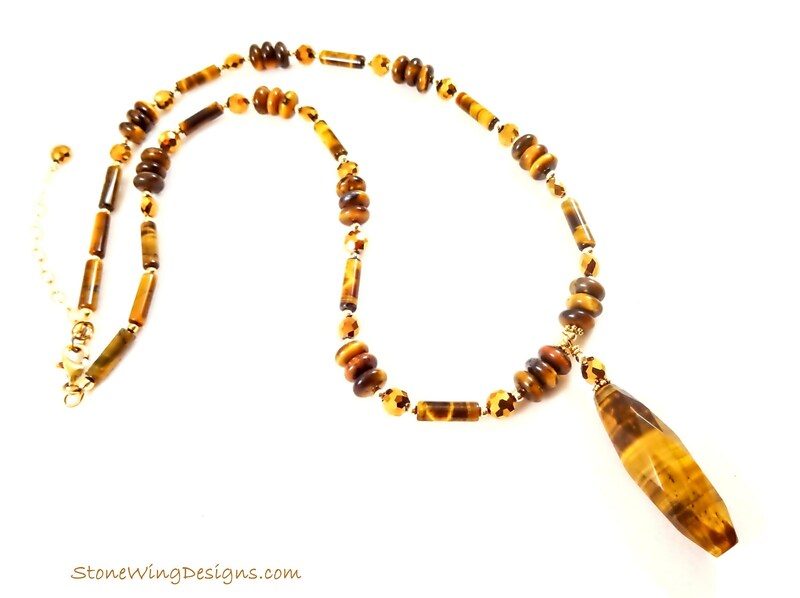 This lovely necklace has Tiger Eye gemstones in abundance -- from the tubes and rondelles of the main necklace to the gorgeous long faceted oval pendant. 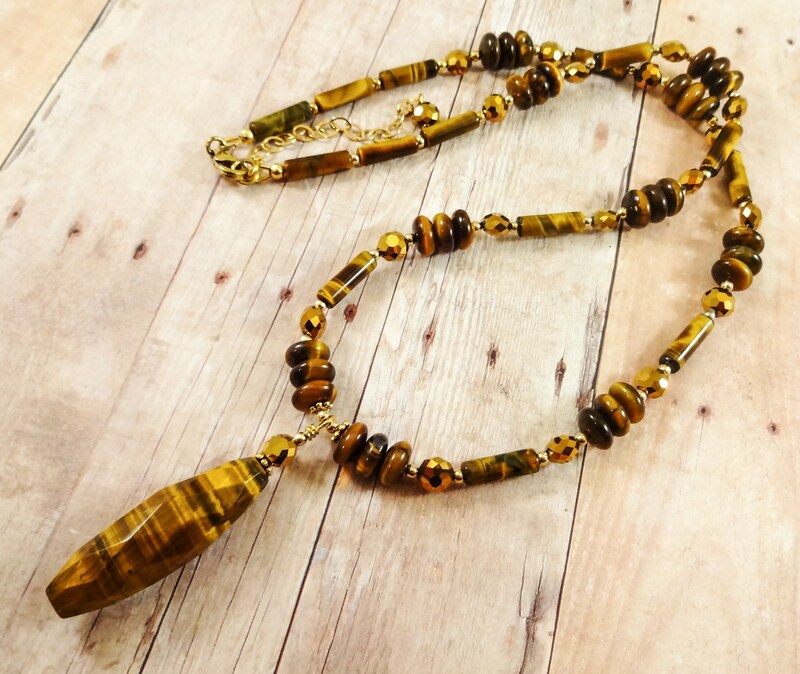 Faceted crystals in bronze add richness and sparkle making this a standout necklace.